After serving in the Peace Corps in Guatemala, Kelley has returned home to the U.S. and is now working on Arsenal for Democracy as a co-host and contributor. Good news about … malaria? 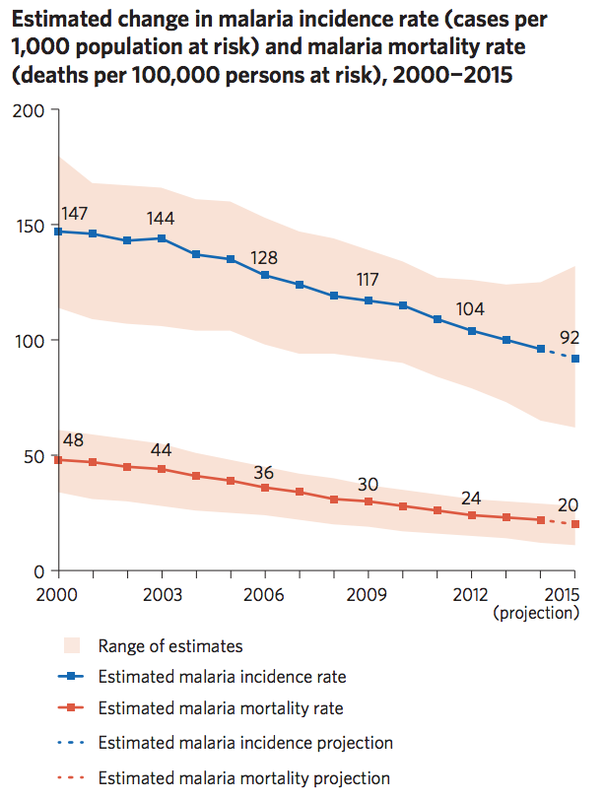 Yes, there is good news about malaria: the rate of annual mortality from the disease has reached an all-time low. The United Nations reported on July 6th that deaths due to malaria were projected to be just 20 per 100,000 people in at-risk-populations in 2015, down from 48 per 100,000 people in 2000 – a decrease of 58%, which indicates that more than 6 million lives have been saved in the past 15 years. Malaria is a parasite spread to humans through mosquito bites. Symptoms of malaria are flu-like and include high-fever, vomiting, diarrhea, and can lead to death if not treated properly. The United Nations and others committed to achieving the Millennium Development Goals have been fighting malaria largely through the distribution of hundreds of millions of insecticide treated mosquito nets, education campaigns of the symptoms of malaria, and improved treatment of malaria-infected patients. The United Nations also announced that they would need at least another decade to achieve the Millennium Development Goals, which were originally slated to be achieved by this year. The fight against malaria is hardly over, yet it is still serves at as a reminder of what can be achieved when resources and appropriate technology are committed to a problem in the developing world. Information and chart from the United Nations’ Millennium Goals Report 2015. When the No Child Left Behind Act (NCLB) was signed into law in 2002, it was intended to last only until 2007, when lawmakers would revisit and improve the law. Instead, our country’s lawmakers allowed the bill to expire, forcing states to continue to abide by it until another law replaces it (or, after 2011, seek a conditional waiver from the Obama Administration). Finally, with both sides of the aisle dissatisfied with NCLB, Congress has decided to take note of the lessons learned in the past 13 years and begin debates to replace the law. Meaningful changes in the law are far from a slam dunk; those on the left are calling for reforms as progressive as universal pre-kindergarten and those on the right wish to see more decision-making power reside in the states. If an agreement is to be struck, it will surely come at the end of impassioned and tumultuous debate. The bill that has been brought to the Senate floor is sponsored by Lamar Alexander (R-TN) and Patty Murray (D-WA) — both of the Senate Committee on Health, Education, Labor and Pensions, where the bill passed unanimously in April. The proposed bill calls for the continued use of mandated math and reading tests, but would allow states to decide what to do with their results. Furthermore, in direct response to the debate over Common Core, the bill would prohibit the federal government from requiring, or even encouraging, a nationwide set of academic standards. The House of Representatives is set to debate their own version of the bill, sponsored by John Kline (R-MN), which includes giving states control over school accountability and a controversial school choice provision. This bill was set to be voted upon in February, but that vote was withdrawn because there was not enough support, even within the Republican majority, for it to pass — and the White House announced that it would be vetoed, should it reach the President. It’s a civil rights issue. Although a school and its students are far more than a number, testing has allowed for a quantitative way to highlight the differences in quality of our country’s schools and has been particularly effective in bringing the black/white achievement gap out of the shadows. When the President and his Secretary of Education refer to accountability, they are, in many ways, referring to the federal government’s responsibility to figure out which of its citizens it is failing and fix it. Testing, testing, and, oh wait, more testing. The country’s largest teacher’s union, The National Education Association, has long been calling for the elimination or severe reduction of standardized tests. Banking on a renewed anti-testing fervor stemming from frustration with the Common Core, their voice is sure to be heard in this debate. While testing is disruptive, wildly unpopular, and known to distract school systems from the true mission of educating children, another viable accountability option would have to be brought forward to see the elimination of testing. In the meantime, there’s a real chance the testing could be limited and the scores used in a different way. Wish lists. It is impossible to overstate the importance of public education, and everyone wants to leave their mark on the issue. Bob Casey (D-PA) seeks to provide universal pre-kindergarten and believes he can fund it by closing a corporate loophole allowing US companies to move part of their business overseas in order to become foreign corporations for tax purposes. Pat Toomey (R-PA) and Joe Manchin (D-W.Va) will ask for more detailed background checks of all school personnel. Other lawmakers are sure to add their opinions and addendums to the bill. In the words of John F Kennedy, “Our progress as a nation can be no swifter than our progress in education. The human mind is our fundamental resource.” Nothing short of the fate of our country rests upon the education we provide to its children. Let us insist that our lawmakers take this opportunity to make sound, effective, and significant improvements to our education system. Topics: Co-host Kelley returns from the Peace Corps in Guatemala; Nate explains the wider significance of Denmark’s recent elections. People: Bill, Kelley, and Nate. Produced: June 28th, 2015. – The Peace Corps experience in the globalized internet age, and the challenges facing Guatemala. – Danish People’s Party: Why the far-right’s huge success in Denmark is a big problem beyond Denmark. 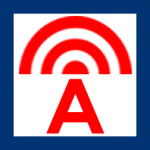 – AFD: Denmark’s Thorning-Schmidt: Preview of a Hillary 1st term? Description: Bill discusses President Obama’s second inauguration with guest Neal Carter. Former co-host Kelley checks in to talk about her upcoming service with the Peace Corps. Bill looks at the Republican defeat on the debt ceiling and what it signals for the next two years, and then explains more about the crisis in Mali. Finally, Bill offers some thoughts on the future broadly.